Its starts with a vision. We are all about the dream of what could be, and how it can be personalized to fit your family or business. Be it sketches on a napkin, inspiration boards, or just ideas in your head, we are excited to bring your dreams to reality. Once we have the vision, then begins the fun of organizing details. From layout to interior design, we work with you to create the perfect spaces that are both functional and beautiful. From paper to reality. Journey with us as your dreams take life. From foundation to finishing we continue the process together, right until the day we hand over your keys. Established in 2012 with over 15 years of construction experience, our goal is to bring a fresh approach to quality building engaging in innovative building methods and products. A house is more than a building and a commercial space more than a structure; they are where time is enjoyed, business' are represented, and memories are made. Each design should be functional, beautiful, and reflective of the individual. Our passion is designing ideas that challenge the status quo and then bringing them to life. Contact us today to start designing your dream space! 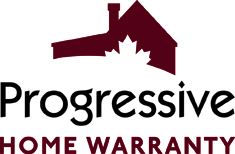 Progressive Home Warranty Has Been an Exceptional Partner Through-Out Our Building Success.